Skill and compassion go hand in hand when providing exceptional patient care. At SmileArts Dental, we stay up to date on the latest advancements in dentistry with education and equipment in order to provide the most current treatment options for our patients. As doctors, we recognize that our patients are unique individuals who have placed a great deal of trust in our team. That is just one reason why we value each and every patient relationship. We appreciate the time you’ve taken to visit this site and find out more about SmileArts Dental, our team, and the many services we can provide to help you achieve optimum oral health. We look forward to meeting you and providing a lifetime of care for you and your family! 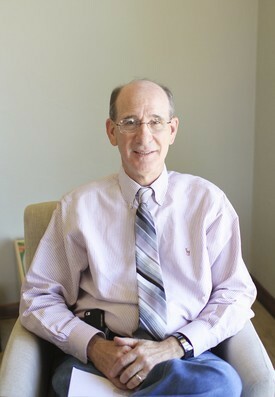 Dr Aaron was born and raised in Ponca City, OK. He attended the University of Oklahoma where he received a B.A. 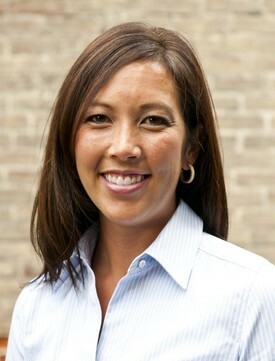 in Electrical Engineering and completed a graduate degree from the OU College of Dentistry in 2009. After graduation he joined the U.S. Air force and completed an Advanced Education General Dentistry Residency in Shreveport, LA. He received advanced training in specialty care such as IV sedation (sleep dentistry), implants, laser oral surgery, wisdom teeth extractions, and periodontal surgeries. He was stationed in Charleston, SC, where he utilized his training by serving our country's finest servicemen and women. Ready to come back home to Oklahoma, he joined Smile Arts Dental Studio in May 2013 and is grateful for the opportunity to share his extensive training with his native Oklahomans and friends. 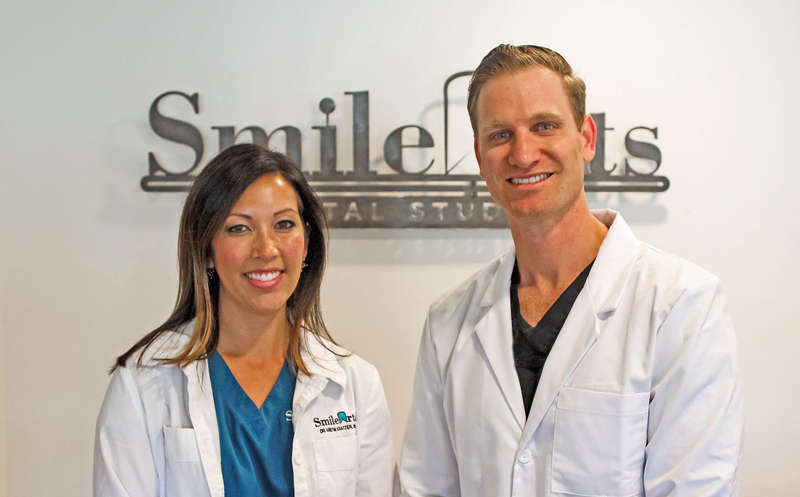 Dr Aaron met his wife Jessica in dental school, who is also a part-time hygienist at the practice. They have two beautiful children, Lawson and Laina. They are actively involved in their church and consider themselves blessed to be a part of such a wonderful, patient focused dental practice. Dr Aaron loves playing golf, Oklahoma Sooner football, and OKC Thunder basketball. (Although he would like to point out that he still enjoys working on OSU Cowboys and even Texas Longhorns!!) 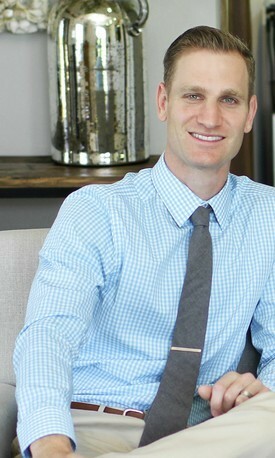 We invite you to come meet Dr. Aaron and get to know him as your friend and dentist for a lifetime of care! Dr. Kristin Kratzer, DMD joins us as a result of a family move back to Oklahoma from practicing for 7 years in Pennsylvania. Dr. Kristin comes back to her Oklahoma heritage bringing with her a husband and three lovely children. Her husband, Daniel Kratzer, DMD is a co-owner of Orthodontic Specialists of Oklahoma so this family knows dental! We are excited to have Dr. K as part of our knowledgeable and friendly staff at SmileArts Dental and know you will LOVE her when you meet her. You will leave with a thorough understanding of any and all treatment that needs to be done...and her gentle hand will calm your nerves and make you even GLAD to come back. Visit us today at SmileArts Dental! Dr Pat is married to his wife Cyndi and they have two cats: Rinni and Zac. Patrick enjoys aviation and is actively involved in the local EAA chapter and the Young Eagles flying program where he gives free airplane flights to local children to cultivate their interest in aviation. They both enjoy attending all Oklahoma Sooners sporting events and the OKC Thunder basketball games. Dr. Matthew Guffey joins SmileArts Dental after selling his former practice, Magnolia Family Dentistry in Del City. He is married with two kids and is a wonderfully sweet guy with a gentle hand and a big smile! You will love him from the first time you meet! He makes going to the dentist FUN! Come Meet Dr. Matt!